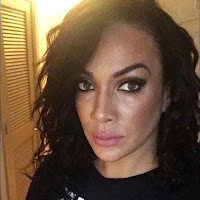 - Nia Jax took to her Twitter account to comment on the announcement of the Smackdown Live Women’s Money in the Bank ladder match. She also decided to take a shot shot at the RAW brand in the process. - After Sasha Banks and Alicia Fox brawled during Noam Dar's win over Rich Swann on WWE 205 Live, the two ladies had a heated confrontation during a post-match interview.